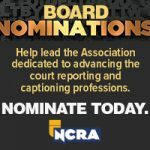 NCRA’s meeting of the Board of Directors last week marked tremendous progress as we work together toward accomplishing the mission of the National Court Reporters Association. Our Board is hard at work moving the vision of the organization forward. I am pleased to share some of the accomplishments of the meeting. 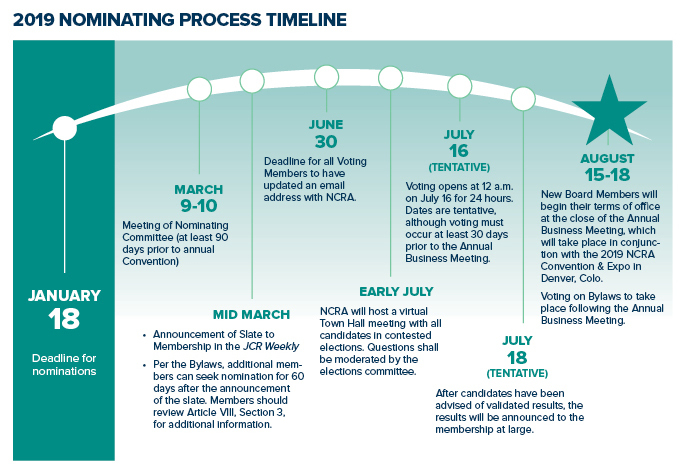 NCRA’s government relations department will continue to support and assist our affiliated state associations and members in accomplishing their industry-related legislative objectives. NCRA will continue to offer resources and information to affiliated state associations and members regarding contracting legislation. 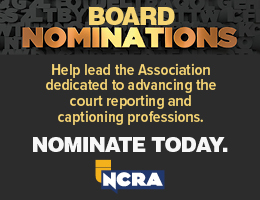 NCRA will refrain from providing public testimony. In new business, the Board and guest members warmly welcomed NCRA’s lobbyist, Erik Olson. Olson described the current political climate and how it is likely to affect outcomes over the coming two years, and how in 2018 we will begin to develop strategy to proactively influence a federal legislative agenda on behalf of court reporters around the nation. I announced the launch of a quarterly Town Hall for NCRA members as a platform for me to engage directly with members who can call into a live meeting. 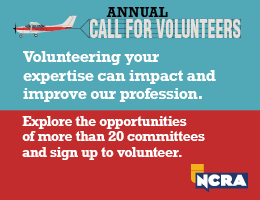 The NCRA Town Halls will begin in April. Building and operating a sustainable business and financial model. Positioning the profession and association for the future. Increasing demand for NCRA certifications. The strategic plan will be unveiled in August during the business meeting that will be held in conjunction with the 2018 NCRA Convention & Expo in New Orleans. The NCRA Board meeting last week was my second opportunity as Executive Director and CEO to experience the passion and dedication of this incredible organization. I thank you for your warm welcome and continued support. 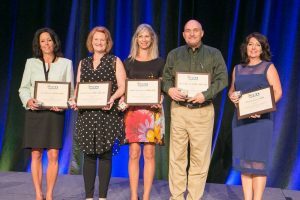 Working together, the Board of Directors, state leaders, members, and staff will achieve great success through hard work and focused execution as we continue the work of the leaders before us to advance the profession and make NCRA the leading authority on court reporting and captioning. 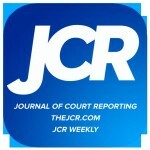 Marcia Ferranto is the Executive Director and Chief Executive Officer of the National Court Reporters Association. 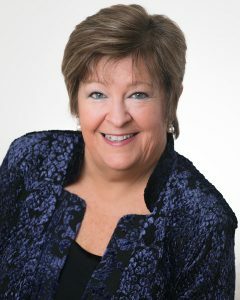 NCRA has announced that Marcia C. Ferranto, a nonprofit executive with more than 25 years of experience, has accepted the position of NCRA CEO and Executive Director. Along with her experience, she brings vast knowledge in the areas of leadership, relationship building, membership growth, and finance. “Ferranto’s energy and passion are contagious. 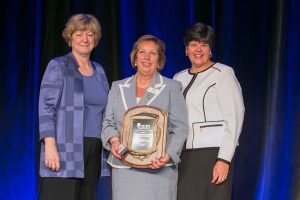 Her respect for members and staff, her intelligence and financial acumen, and her fresh ideas grabbed the attention of the board,” said NCRA President Chris Willette, RDR, CRR, CRC. 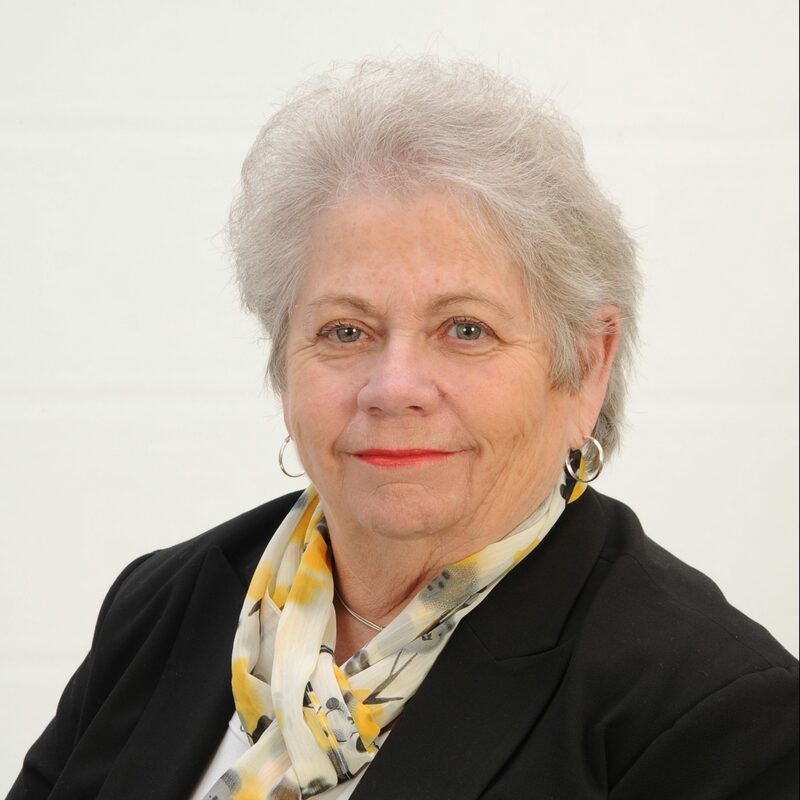 Prior to joining NCRA, Ferranto served as President and CEO of the Women’s Transportation Seminar International and the Women’s Transportation Seminar Foundation in Washington, D.C. During her tenure with WTS, she worked closely nationally and internationally with the U.S. Departments of Transportation and Labor, as well as federal, state, and local officials. 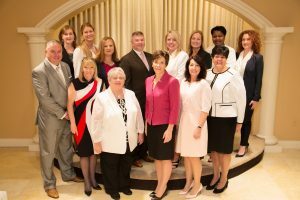 Other highlights of her tenure include a 100 percent growth in the organization’s membership, significant increases in its sponsored events, an increase in leadership programs to aid local chapters, and the development of an executive leadership roundtable that helped WTS link its membership to some of the most influential women thought leaders in the industry. Ferranto has experience as an independent consultant assisting companies and nonprofits with strategic development. She also has strong branding skills. She holds a Bachelor of Science in Business Administration from Widener University in Chester, Penn., and is a graduate of the Museum Leadership Institute, Getty Leadership Institute. She has also served as a guest speaker at the New York University’s Master’s Program at the Steinhardt School of Education, Department of Art & Art Professions.